Munich has much more to offer than what people normally think, and I am often sad when I hear that someone is coming only for a day. One day in Munich is not enough to see everything worth seeing, and certainly is not enough to get the feeling of how it is like to be a local around here. However, one day is already enough to come to the conclusion that Munich is awesome. So if you only had 24 hours in Munich, what would you do? Or even better, what should you do? Being passionate about this city, I put together a simple itinerary to help those who sadly will be here only for a few hours, all in order to make your short stay worth it. 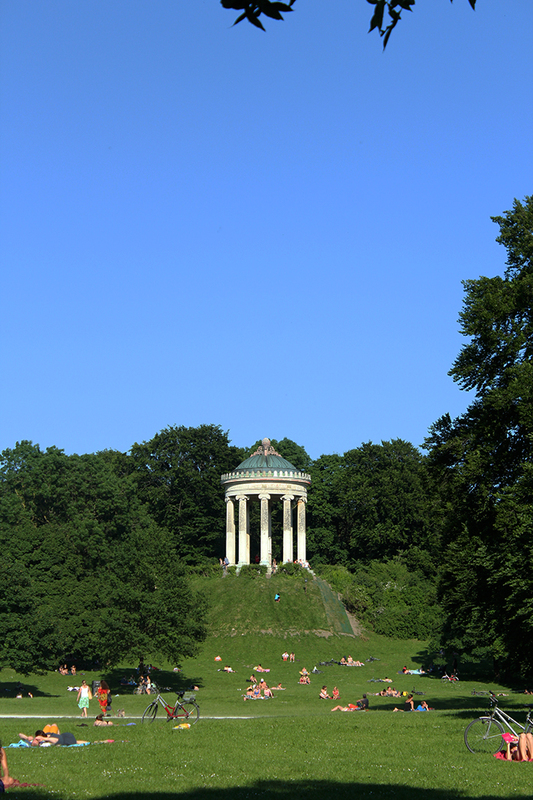 Start your day in the stunning Englischer Garten, worth the visit in every season of the year. There you can take a calm morning walk and contemplate the green around. 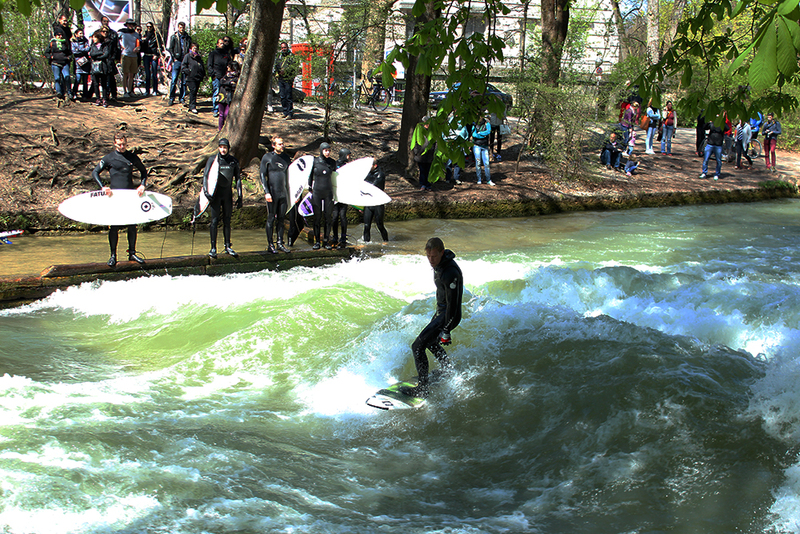 Check out the biergarten, Lay on the grass, watch the surfers surfing at the Eisbach, or simply enjoy being in contact with nature. In December there is a Christmas Market at the Chinenischer Turm, where the biergarten is located. From the Englischer Garten, head to the Marienplatz. Here you will see the new and old Town Halls, and if you would like to see the city from above, you can take the elevator of the Town Hall, or you can climb the stairs of the St. Peter’s church, which faces the Marienplatz. At 10am the shops will open. All the small streets leading to Marienplatz are great for shopping, and for souvenirs. I always recommend Kaufhof – a department store – to buy souvenirs, as they have a great variety. At 11am you can see the Glockenspiel on the top of the New Town Hall, where the dancing figures start to move and play a song. It happens daily also at 12pm and from March to October at 5pm too. Then, move on to the Viktualienmarkt, the pretty open-air market located just behind Marienplatz. It’s worth a visit even if you are not interested on buying anything, but if you do, here you will find local products like sausages, as well as products from all over the world. Take the Metro lines 3 or 6 at one of these stations: Giselastr. Universität or Münchner Freiheit (direction: Fürstenried West/Klinikum Großhadern), stop: Marienplatz. You can also walk to the Marienplatz and on your way you can make a quick stop at the beautiful garden Hofgarten. Have lunch in Bavarian style! 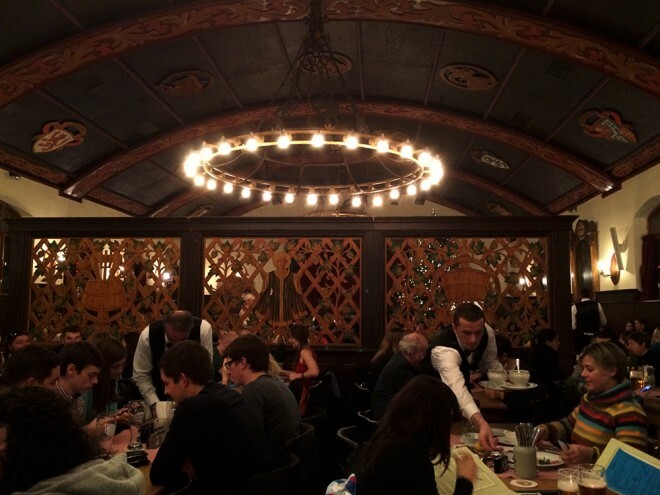 Try some sausages, roasted pork knuckle or roasted chicken, and drink the best beer in town at the restaurant of the oldest brewery in town, the Augustiner Keller. During summer they have their biergarten open, but inside it’s pretty cool too! Take the Tram 19 from Theatinerstr. (this stop is right in front of the Mango store at the corner) (direction: Pasing) change at the Hauptbahhof for the Tram 16 (direction: Romanplatz) or Tram 17 (direction: Amalienburgstraße) and get off at Hopfenstr. or Hackerbrücke, then walk around 300m. Take any S-bahn from Marienplatz (direction: Hauptbahnhof), get off at Hackerbrücke. Then walk around 300m. 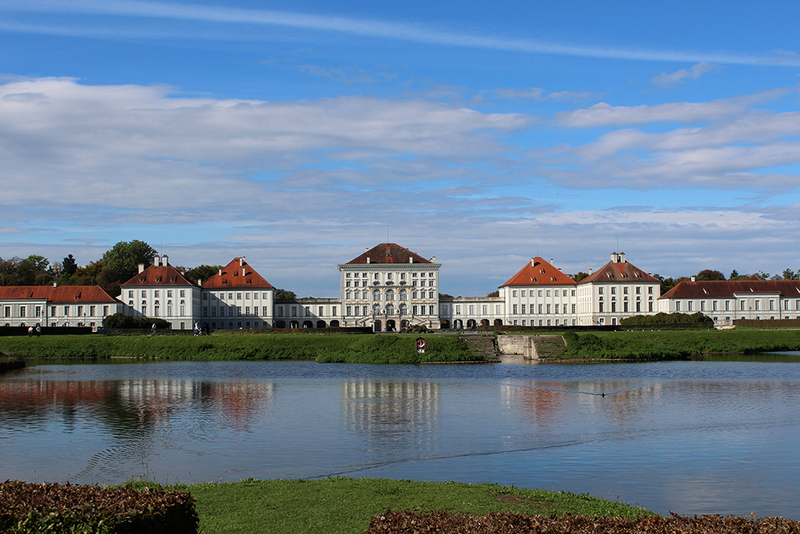 This palace is stunning, it used to be the Bavarian kings’ residency, and where the famous King Ludwig II was born. 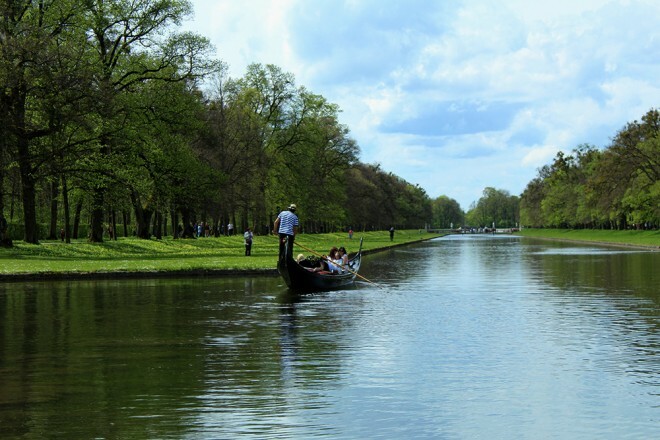 Its park is probably the most charming in Munich in every season of the year. You can visit inside the palace or take a walk at the park, take your time and enjoy it. Take the tram 16 (direction: Romanplatz) or the tram 17 (direction: Amalienburgstraße). Get off at Romanplatz or Nymphenburg Schloß. The park was built for the summer Olympic Games of 1972, and it is a very pretty area of the city. There you may visit Sea Life, go up the Olympic Tower, climb to the top of the Olympiaberg – the little hill of the park – take a tour with a little train, or simply just walk around. Walk to the Romanplatz stop and take the Tram 12 (direction: Sheidplatz). 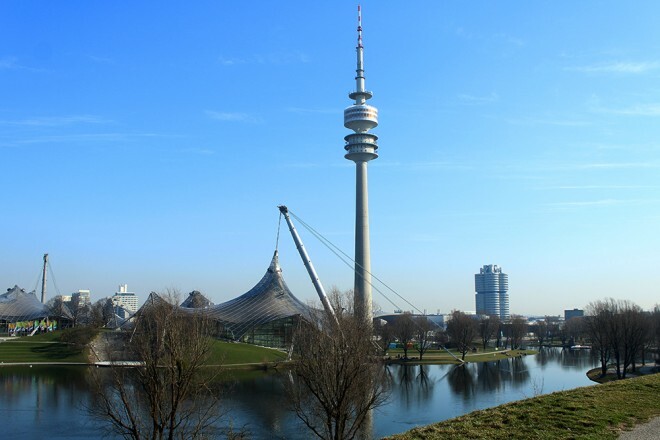 Get off at Leonrodplatz and walk towards the Olympic Tower. It’s a bit of a walk through the park. The BMW Welt and Museum are right next to the Olympic Park, all you need to do is cross a bridge near the Olympic Tower. The entrance to the BMW Welt is free, it’s where you can take a closer look to the cars, and maybe even buy some souvenirs. 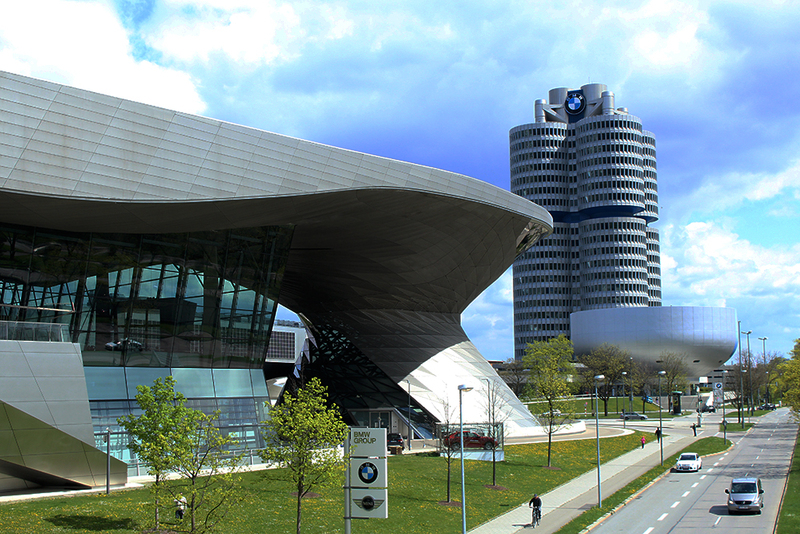 If you are a fan of the brand, you can keep going and just cross the bridge over to the BMW Museum. For an entrance fee you will get to learn more about the company’s history and see from the very antique models to the most modern ones. If you are not interested in cars, skip it, but the visit is worth it! Don’t forget to check the opening times and special exhibitions. From the BMW Welt, you can choose to stay a bit more at the park or head back to the Marienplatz to finish your day as you please. 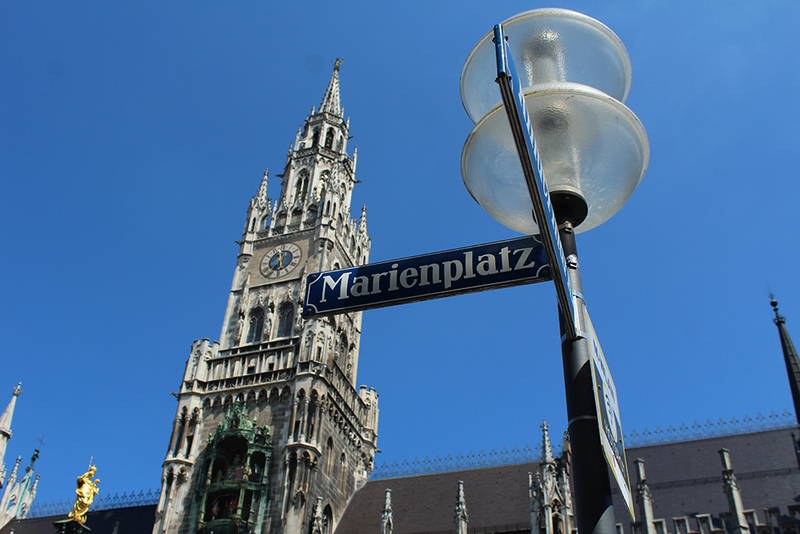 Take the Metro line 3 from the Olympiazentrum station (direction: Fürstenriedwest) and get off at Marienplatz. 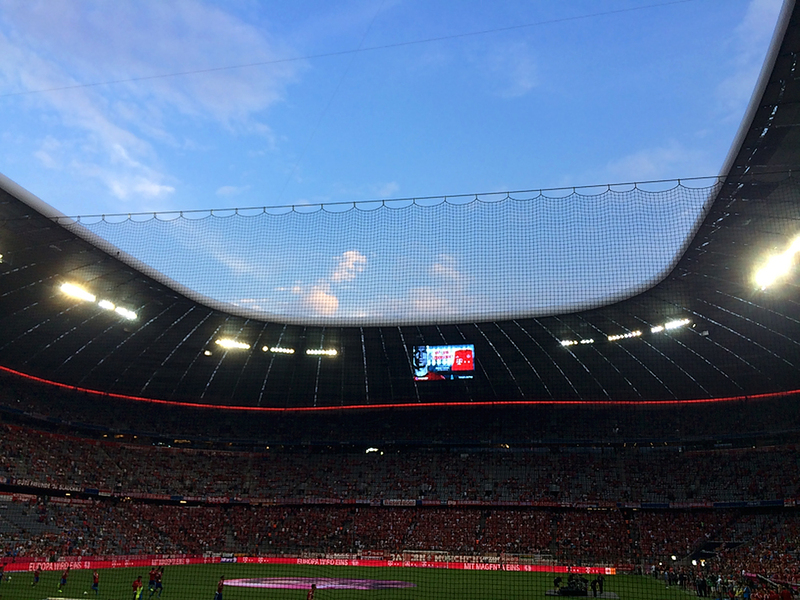 In case you are a football fanatic and would like to visit the Allianz Arena, feel free to scratch some of the things off this itinerary and go ahead! I advise you to take a look at the official website to check the opening times and the schedule for the tours in English/German, so when getting there you don’t have to wait a lot, or risk being closed (the tours are not available when it’s match day). Apart from the public transportation access, this ticket gives you discounts in more than 70 tourist attractions in Munich. You can buy a single ticket, or a group ticket. For this tour, you will only need a ticket for the inner city. However, if you choose to visit the Allianz Arena, you will need the München XXL. I’ve visited all these places in Munich in the span of 3 days!! I loved the English Garden and Nymphemburg palace (although I didn’t get inside). My brother is a football fan, so we visited the Allianz Arena as well…as I say thanks to my brother I’ve done my fair share of “football tourism”! Ohhh hahah soo cool that you still got to go to the Allianz Arena! I stayed in Munich for even less than 24 hours which was not enough by any means, but I’ll be back! I love the surfers, that’s just wacky! I will be happy to show you around!! I hope you come back to visit the Nymphenburg, I love that place!! I hope when you come to Europe we can meet! hahaha I can start even earlier to be honest, but W is lazy like your friends hahaha. So I always need to wait for him. I am an early morning person, especially when traveling! Ohhh comeeee Vlad, it would be awesome to show you around! My plans for next year are also pretty crazy and open to new ideas 😀 let’s see how it goes!! The Gondola is pretty cool!! 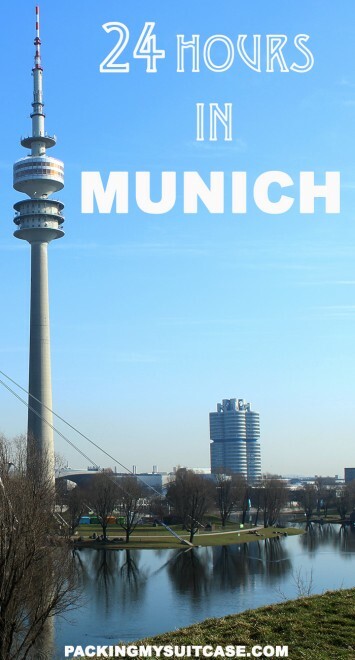 I would love to show you around, I’m sure you find Munich a very nice city! Yes, the gondola ride is new, it started out this summer 😀 it’s pretty cool! hahaha it is possible, Munich isn’t such a big town 😀 and if you know which public transportation to take things are easier. BMW Museum is pretty cool, and on the inside is awesome too. Yess, when you come, make sure you stay longer! It’s worth it 😀 and let me know whenever you come, would love to show you around! I hope you come back again 😀 maybe next time you can check the BMW Museum, it’s pretty cool! I will be happy to show you around when you come! Let me know if you need more tips! Yes come back and spend more time! There is so much to see! Hi Ariel!! Thank you, I am happy that you liked it. I thought about putting the travel times, but it really depends on you, traffic and the day of the week (during weekends is way faster). Truth is, none of them will take more than 15min. 😀 Munich is a small town. Ohh noo, I will see if I can find your older comments, but so far I’ve only seen this one on the post. Thank you dear! Yes, the old brewery is awesome, the food there is amazing. 😀 happy to know that! 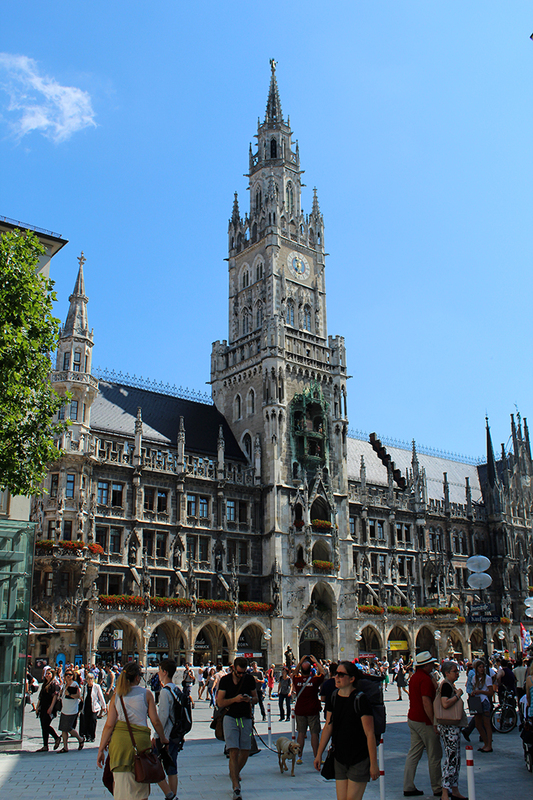 So many things to do in Munich! I didn’t know the Englischer Garten was that big. I would assume there would be signs to direct you around and split into sections like many of the gardens here in Melbourne. Sounds very different.